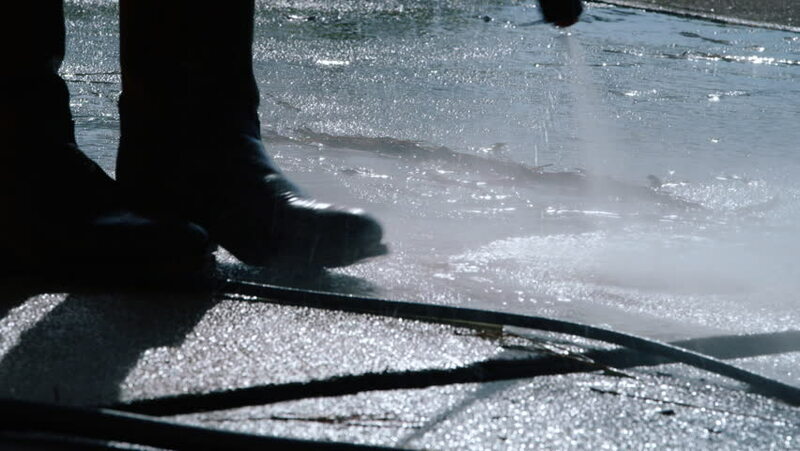 Backlit safety boots on person using a pressure washer to clean a concrete driveway. hd00:29Shovelling snow fro my yard. Man clinging the snow from his yard on a morning with a shovel on a cold day, footage in slow motion. hd00:07Boy kneeling to create chalk drawing on sunny sidewalk. hd00:07Bridal couple walking on wedding. hd00:16winter driving - woman scraping ice from a windshield Woman scraping ice and snow from a windshield when it starts to snow. hd00:19Hard and wet work of this teenage boy power washing a wood fence. hd00:12Two young students in classroom lab working on a science project together. hd00:13A father giving his two young sons a "high-five" to symbolize a job well done. hd00:11Camera tracks around to reveal boy lying in hospital bed listening to comforting words from his doctor. hd00:12Camera pans from two detectives engaged in conversation with a boy over to a mature concerned woman. hd00:06Two boys walk and talk with their father during a leisurely stroll. hd00:21Cute little kindergarten child working at her desk is final focus of camera dolly movement. hd00:15Children bow their heads in prayer while their father says a prayer.